Did you know that the 2019 Mathematics and Statistics External Exams this year are going to be different? There are a number of changes to the exams and if you want to know about them, you need to be at one of the sessions below. 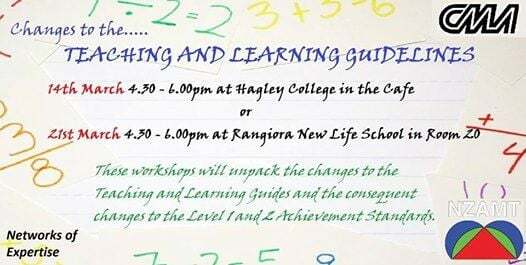 These workshops will unpack the changes to the Teaching and Learning Guides and the consequent changes to the Level 1 and 2 Achievement Standards.